Everyone knows Central Standard is the G.O.A.T.Z. (Greatest Of All Time Zones) -- who wants to wait until 1p for NFL Sundays to start?! 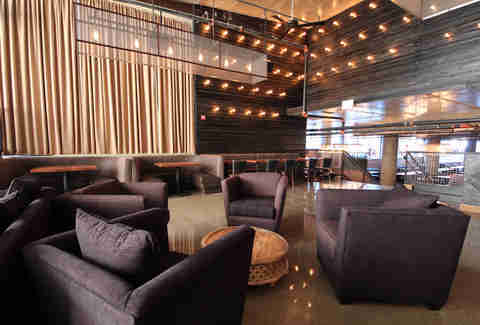 -- so its namesake restaurant is naturally a tribute to some of the best cities dotting the middle of America: Chicago, Memphis, Dallas, and numerous other cities that aren’t Cincinnati. 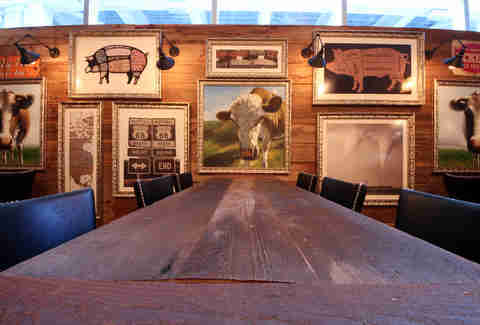 The rustic tavern has road signs from Route 66, barnwood tables, and Edison bulbs wrapped in spheres of chicken wire. 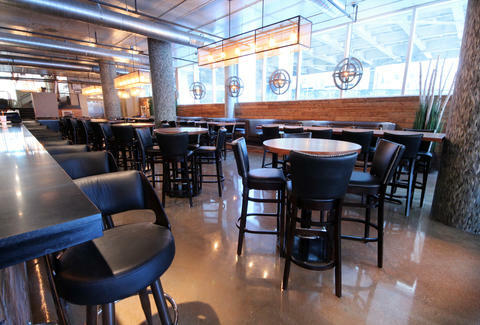 The 300-seat space includes a sofa-laden back lounge, one option for enjoying the 42 beers on tap, all of which come from the same time zone. If you guessed the Alaska Time Zone, you may have reading comprehension issues. 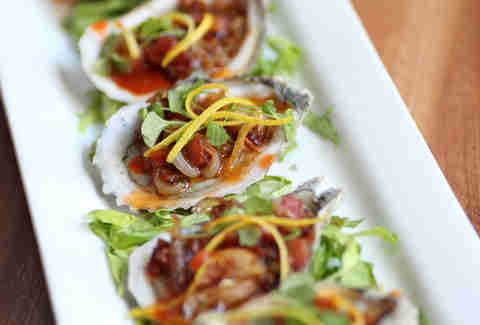 These grilled Gulf oysters come topped with bacon-onion marmalade and housemade hot sauce, for those who miss Kyle Korver. 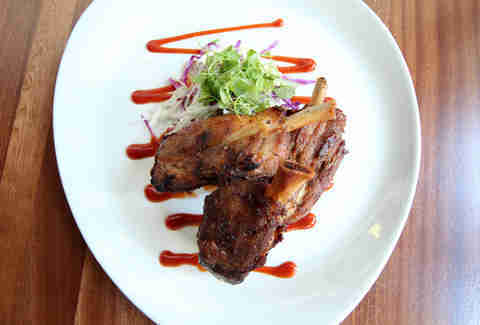 Pigs did fly, that is until you devoured these BBQ-spiced crispy pork wings with malted slaw and spicy peanuts. 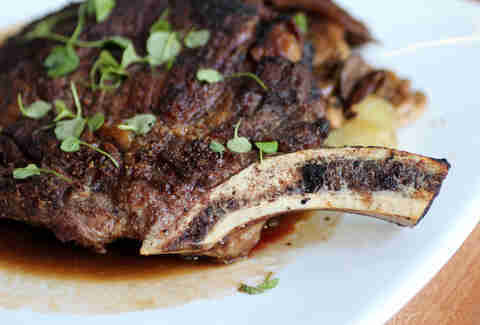 This Streeterville Cut is a 20oz Angus bone-in ribeye, which comes with fried Brussels sprouts and baked mac & cheese. 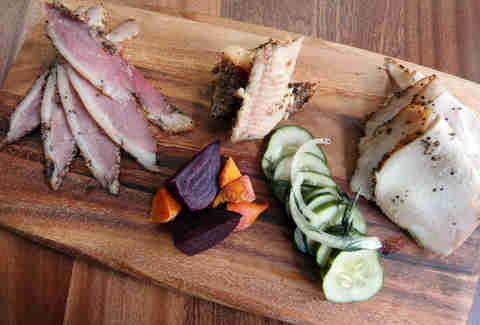 Or get your protein variety-style with this charcuterie spread (smoked turkey, smoked Rushing Waters trout & "ducksciutto"), served with house dills and pickled beets. Did you know the CST has many cows? These are pictures of them. 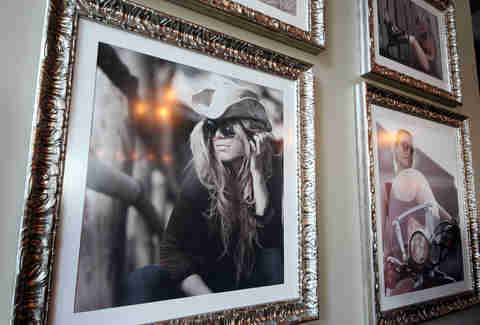 More importantly, it also has cowgirls.